What is Ritual Reconstructed All About? Ritual Reconstructed (RR) is a collaborative, community and academic project which has been funded by the Arts and Humanities Research Council (AHRC) under the Connected Communities programme http://www.ahrc.ac.uk/Funding-Opportunities/Research-funding/Connected-Communities/Pages/Connected-Communities.aspx. 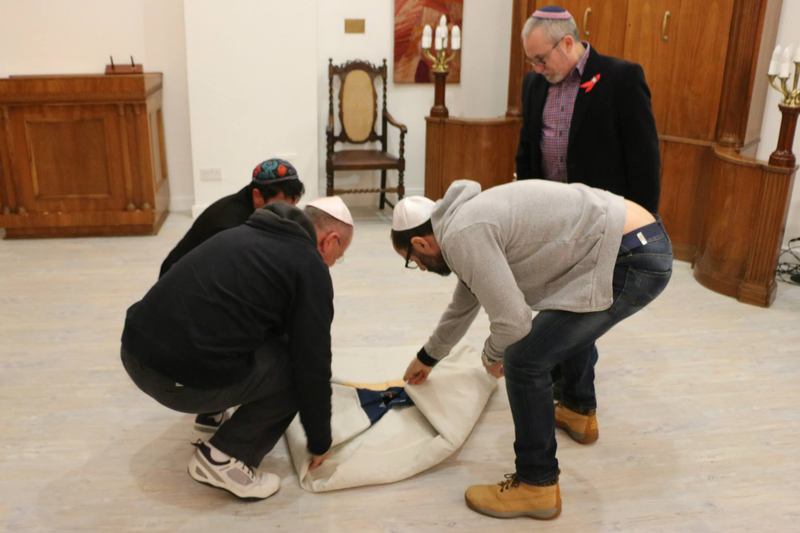 The project is a collaboration between Liberal Judaism, Buckinghamshire New University; University of Portsmouth and The Centre for Trust, Peace and Social Relations at Coventry University. The project runs until September 2015 with a closing event in November 2015. In this project we are working with film, performance, installation and storytelling to look at the ways in which Jewish people who identify as LGBTQI engage in religious and community life. We are really interested in finding out how being LGBTQI has influenced, shaped or changed Jewish faith rituals and how our Jewish selves have influenced LGBTQI rituals. There are various ways of getting involved and you can take part in as many or as few elements as you like. Ideally you might become involving in curating your own ‘ritual bricolage’ (photos, written materials, images, poems or recording etc.) which talk about your ritual life as an LGBTQI Jew) (you can read Ritual Bricolage Explained here) or be filmed taking part in (or talking about) ritual activities (Seder, Purim, Shabbat etc.) You might also want to be involved in focus groups or a workshop, discuss theological approaches to LGBTQI issues on a blog or in person, participate in social media discussions about our activities or be involved in the final ‘public’ event where we present on our work. If you want to get involved in RR first of all sign-up as a member (you can sign up here) to explore the website site fully and find out more information. Look at the resources (films, photographs, information on forthcoming events, blogs and publications) and then join us in talking about identity and (re)constructing LGBTQI Jewish ritual. Anyone who is over the age of 18 and who lives (or is available to be filmed/take part in activities) in or near to London (for some events Portsmouth) and who identifies as Jewish and LGBTQI can get involved. Allies who are actively engaged in the UK’s LGBTQI and/or Jewish community can also participate.